I am saying goodbye for now. This week has just flown by as I knew it would. 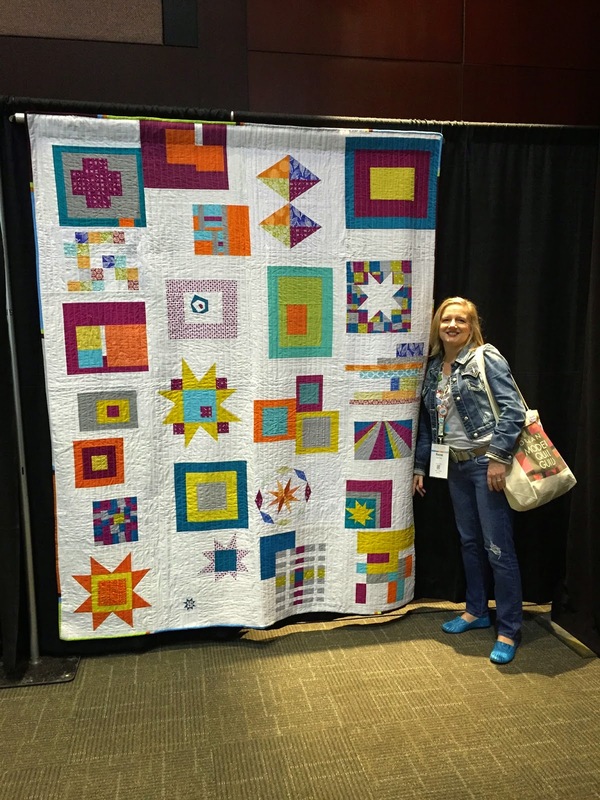 I hope you enjoyed the pictures I posted on Instagram and Twitter from QuiltCon 2015! Posting details of the event here on the blog here during the week just didn't happen. The full schedule of lectures, workshop, meetings and social gatherings did not leave much time for anything else other than eating and sleeping. Not to mention there was just too many pictures ! 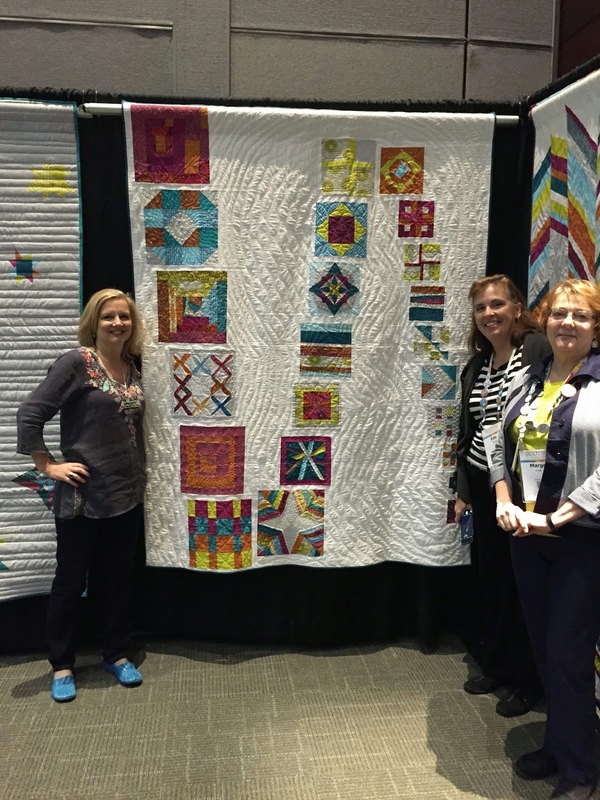 If you missed it, you can search Instagram for the hashtag #52QgoestoQuiltCon and see photos from Week 7 and QuiltCon2015. 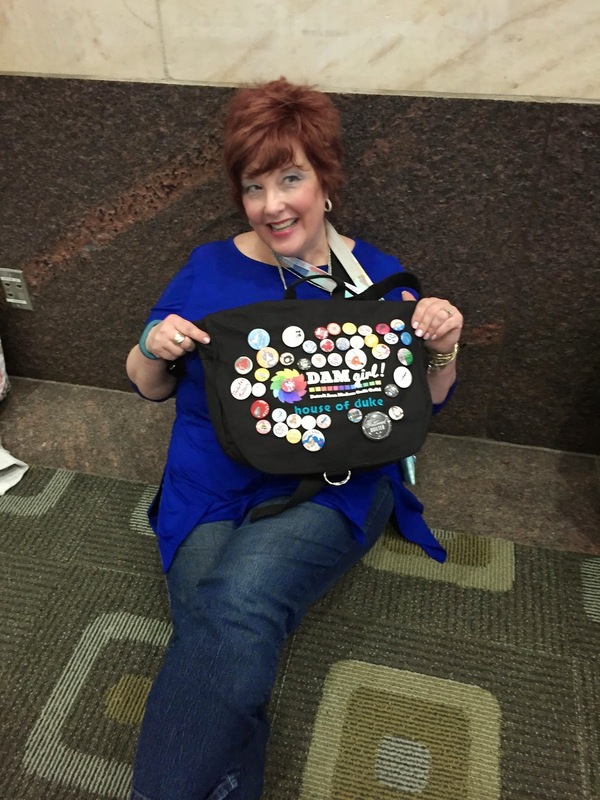 Even though my week was all about QuiltCon, I hope you know you don't have to attend a national quilting conference or retreat far from home (though those are both fun) to be a part of this incredible quilting community. 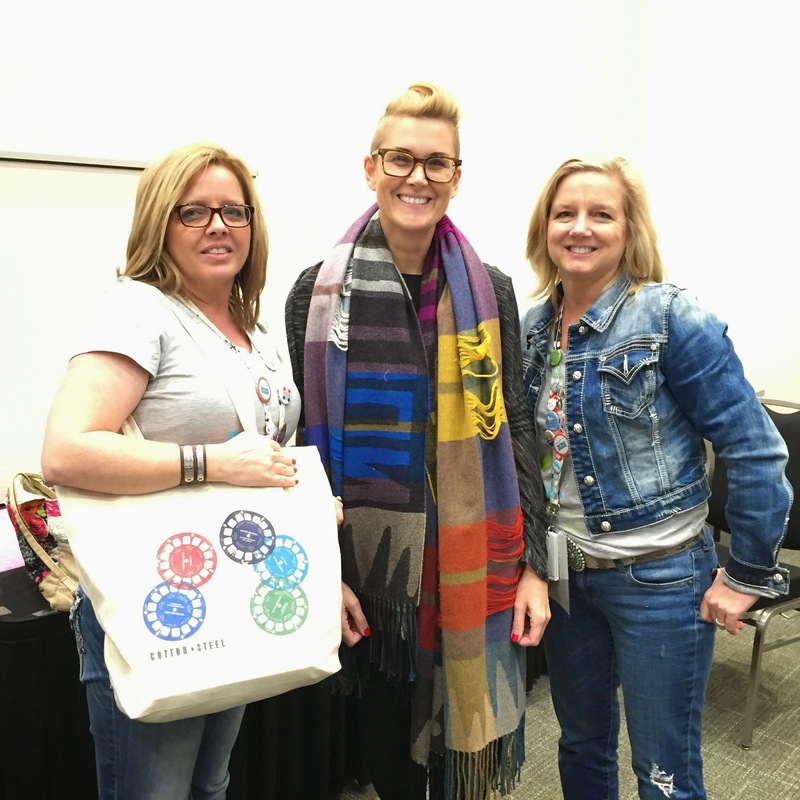 Meeting with your local quilt guild, sewing with friends, joining an online swap, participating in quilting bees, and taking a quilting class are all good ways to participate. 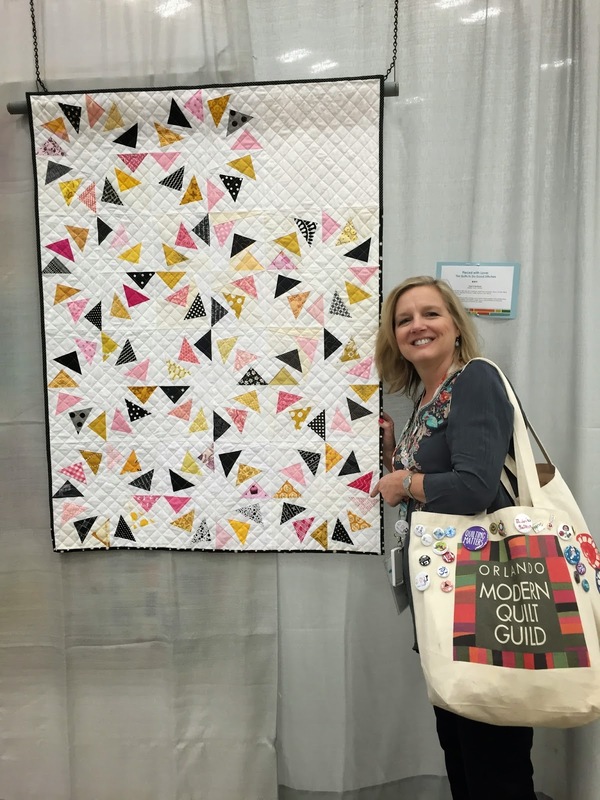 If you don't have a local quilt guild, consider starting one or joining the Modern Quilt Guild as an individual member. Invite a friend over and teach them to make a simple nine patch block if they don't know how to quilt. They will quickly become hooked. 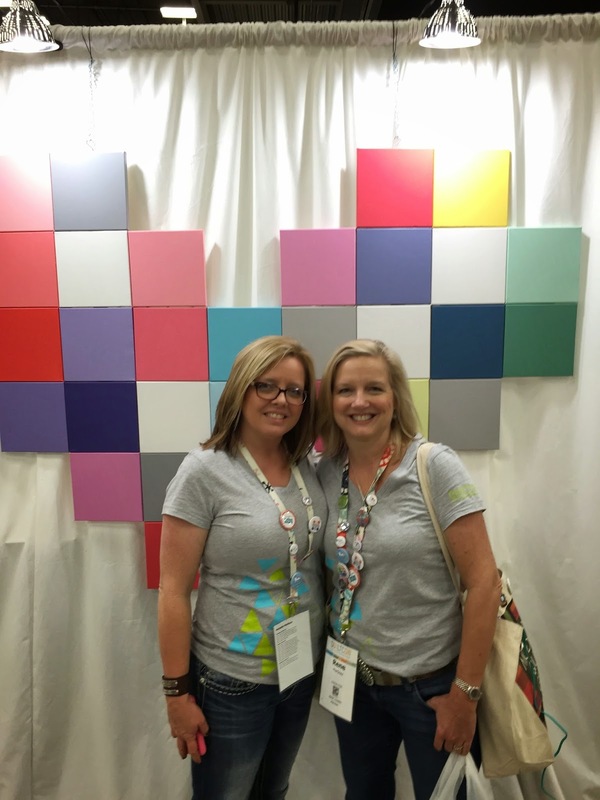 Join Instagram and find a few new quilting blogs to follow. If you're on social media, don't just lurk; leave a comment and start a conversation. You never know what friendships may form. Get involved; share your tips, knowledge, questions, and enthusiasm. We all can learn from one another! dinner with the Canadians - "I love grits!" 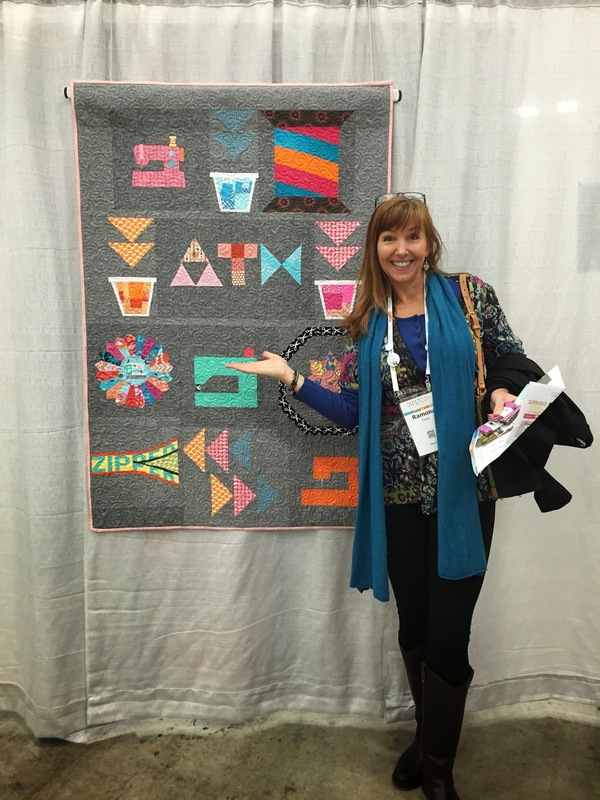 I hope this week has given some indication of how much I love this quilting community and why I wanted to participate in the 52 Quilters project. I appreciate all the "likes", kind comments and fun interaction on my Instagram posts. It has been a blast! 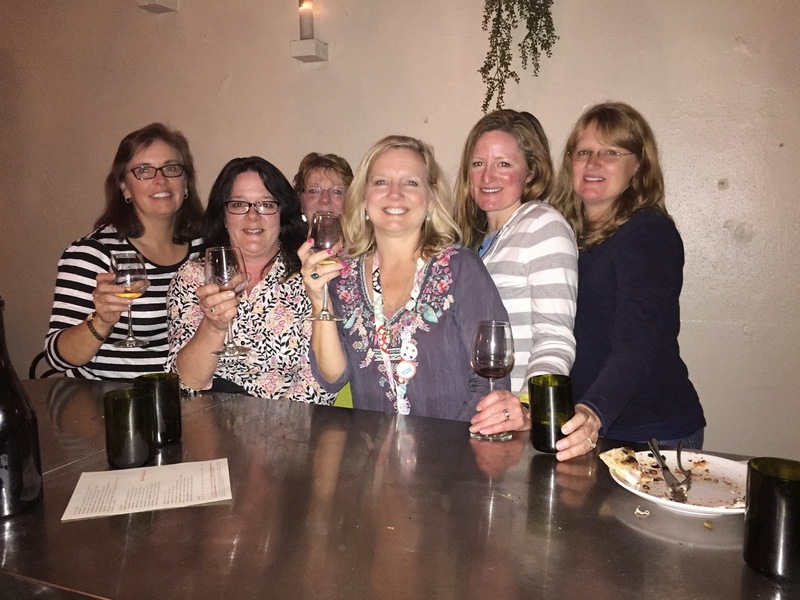 I am thankful for the friendships and connections I have made over the years and the chance to see again/meet for the first time these special people. Tomorrow I attend the Modern Quilt Guild Leadership Conference which should be informative and a bit more relaxing for me then the previous five days. 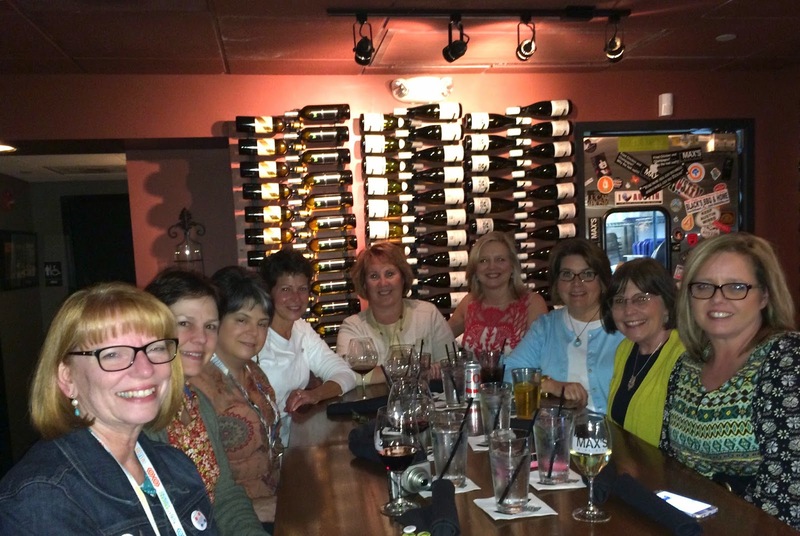 I am looking forward to learning from and meeting other guild leaders from around the world. I won't be posting about that here as my shift is up tonight, but I welcome Quilter #8 and look forward to following the adventures of the 52Quilters.